The brief for this particular unit was unusual and challenging as it had to integrate an Alexander Hall component as a distinct yet connected element without compromising the brand identity. 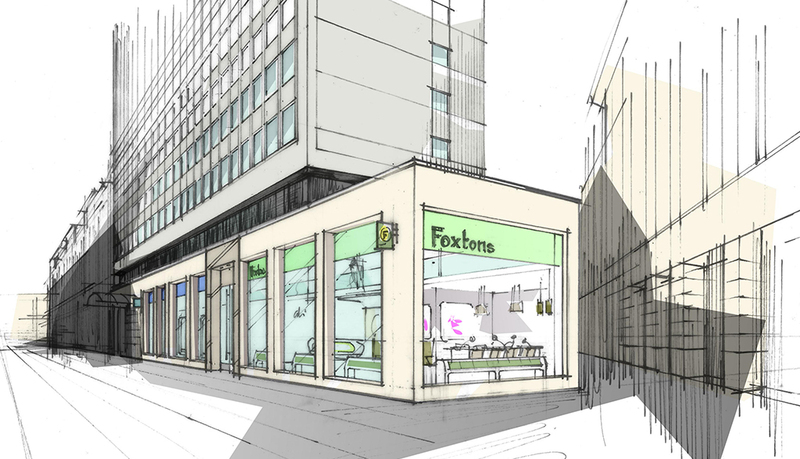 Alexander Hall are independent mortgage brokers, part of the Foxtons Group and like Foxtons also require a front of house consultation zone as well as a more formal staff area. 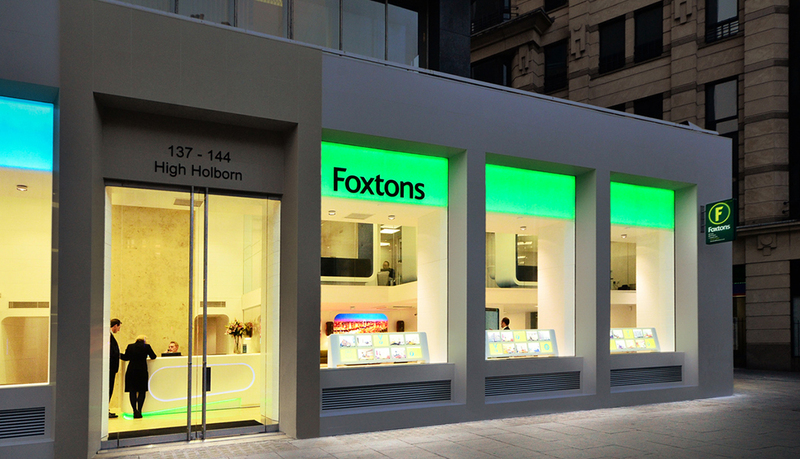 We created a split shopfront to accommodate both brands using a neutral stone cladding with a shared reception in the middle, leading off to Foxtons on the right and Alexander Hall to the left. 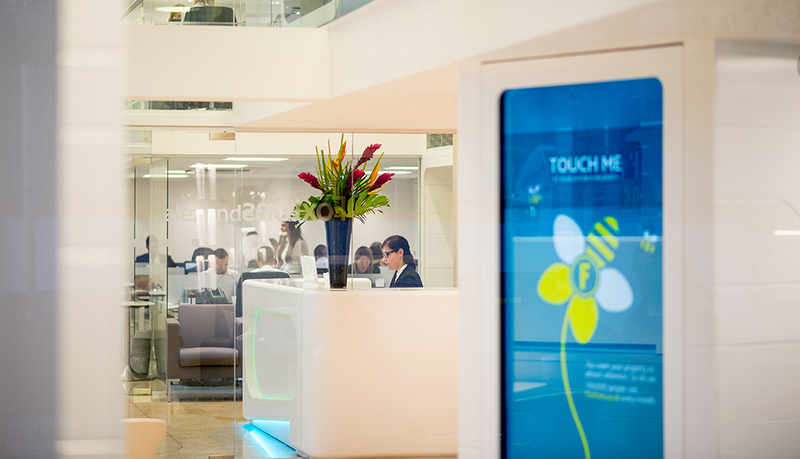 The bespoke reception has been stripped of its F logo’s allowing a neutral brand area. 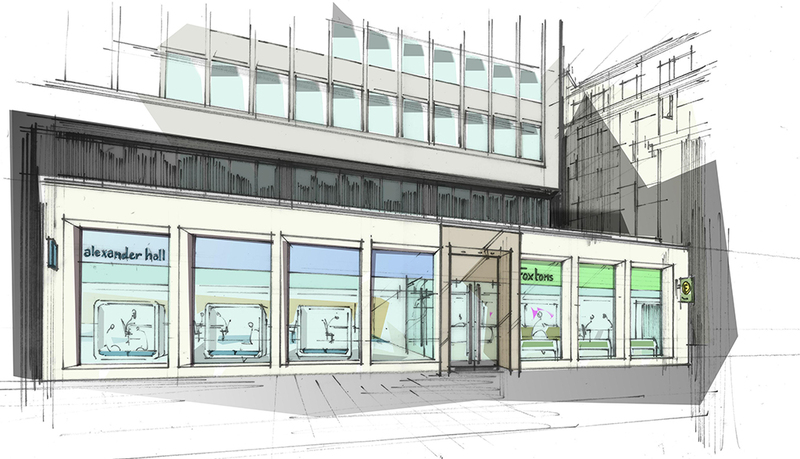 The Foxtons zone contains the static – solid surface display units showcase the properties; the cafe style area just visible beyond houses an interactive giant ipad style screen and bespoke art. 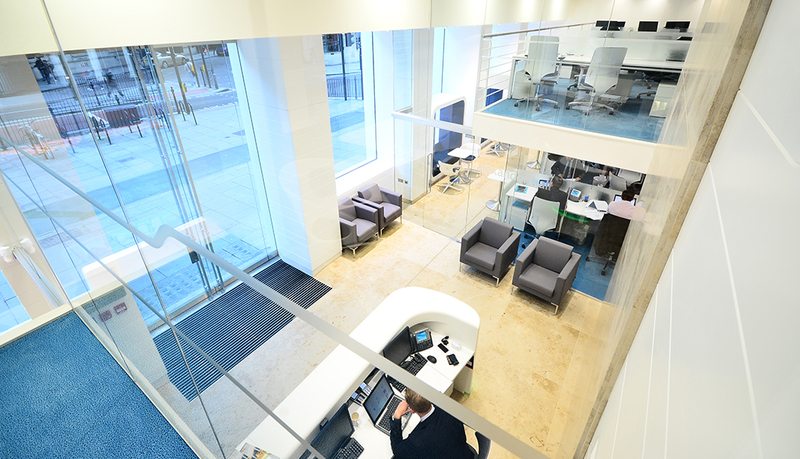 The screen sits between the client and office zones allowing staff- led or independent property searches by clients. The Alexander hall zone is more formal, as would be expected in a financial business environment. The colour palette is less varied and restricted to muted blues and greys. 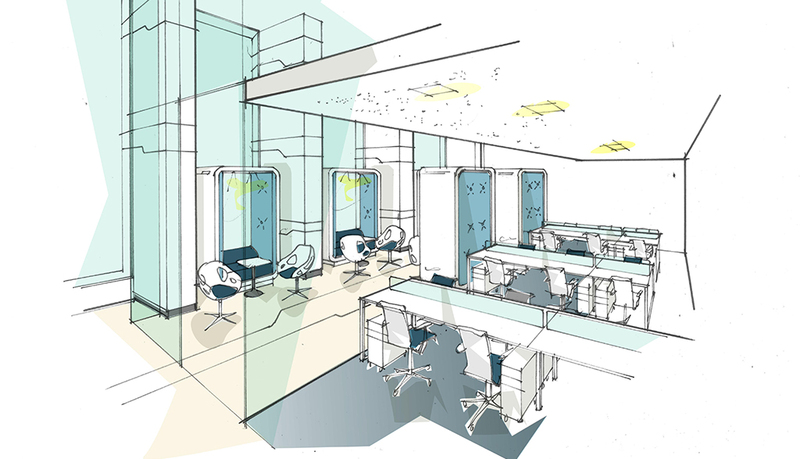 Bespoke curved pod seats have been introduced to add an element of retro softness to the client areas and a nod to the overall group design.